Bogen is hosting a webinar titled, Selling Your Products Online? 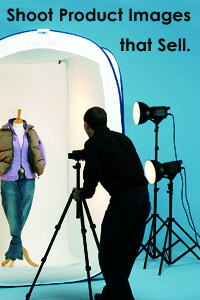 Learn How to Shoot Products that Sell Themselves on Friday, Oct. 3 in the afternoon. Led by Mark Astmann and Christopher Abbiss, Lastolite Product Managers, they will discuss the Cubelite –- a quick portable lighting system perfect for taking web images, along with other lighting options and tips to achieve great images with a digital point and shoot camera. They will also demonstrate positioning and placing light on your products, along with white balancing your camera to eliminate unwanted colors to your images. The only catch is that you must have a valid United States address and a valid email address upon registration. But it does sound kind of fun.